I am very happy to finally be able to reveal the June titles for the UKYA Book Club, launching this month! The UKYA Book Club will run every month with two titles – one voted for by YOU, and the other chosen separately. This month both titles were chosen on the UKYA Facebook page – you can join here to be able to vote for next month’s choice, and to join in with the bookish conversation. The Girl of Ink and Stars tells the story of Isabella, a young girl and mapmaker’s daughter who is forbidden to leave the island she lives on. When her friend goes missing, she offers to lead the search. Equipped with the maps that her father made, Isabella enters the Forgotten Territories to find a wasteland full of monsters and a legendary fire demon. Isabella discovers that her journey may lead her to unexpected places and to saving the island itself. It’s had rave reviews so far, and was even chosen as the Waterstones Children’s Book of the Month for May. This is a title I am very excited to read! 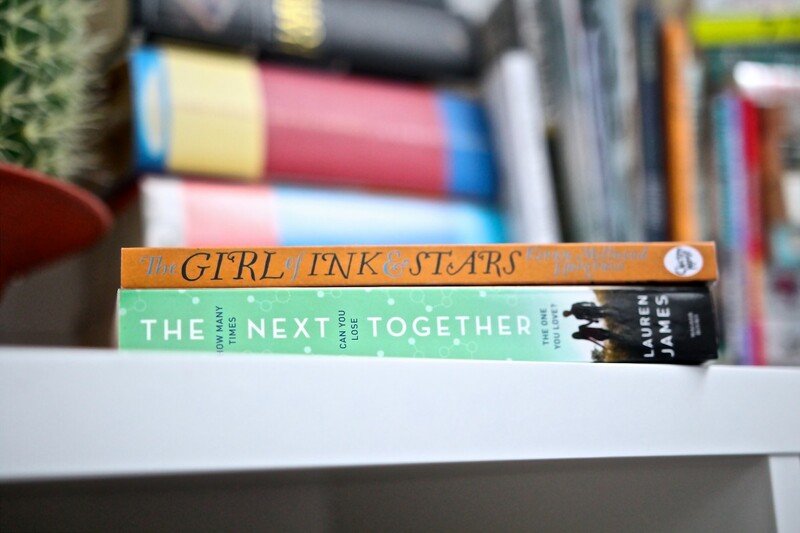 The Next Together was one of my favourite books of 2015 and so I am extremely excited to re-read it again in June for the book club. It’s incredibly engaging and I fell in love with the characters immediately. It’s also perfect to read this month as a prequel novella, Another Together, is being released, so it gives you the opportunity to read both back to back. You can follow along on Twitter using the hashtag #readukya, as well as joining in with conversation on the UKYA Facebook group. Everyone is welcome to join in – the more, the merrier! There will also be activities running throughout the month on YouTube, this blog, and Twitter. Stay tuned for competitions, chats and more! Will you be joining in with us in June? How excited are you to read both titles, and have you read either already?